The constellation Antlia. Roll mouse over to see labels. Antlia is a small and faint constellation in the southern sky. Visible in the months around February, it contains only four stars brighter than fifth magnitude. 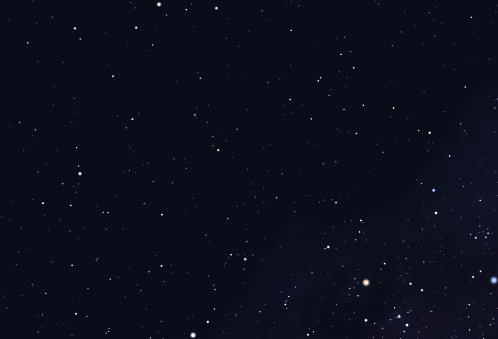 Despite lying close to the plane of the Milky Way, it contains few deep sky objects of interest – only faint galaxies, none of which exceed eleventh magnitude. The name ‘Antlia’ is Latin for ‘air pump’ – a piece of apparatus that led to many discoveries about the properties of gases in the eighteenth century. The name was given to this sky area by Nicolas Louis de Lacaille in 1756. 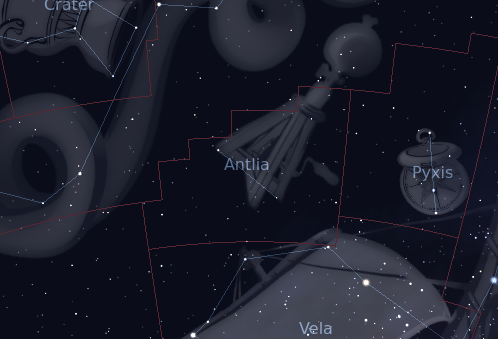 The following constellations neighbor Antlia: Centaurus, Hydra, Pyxis, Vela.